Hello and Happy Wednesday! It has been another busy week for me, but I am enjoying it. I am working on a big DIY project that I hope to share next week. 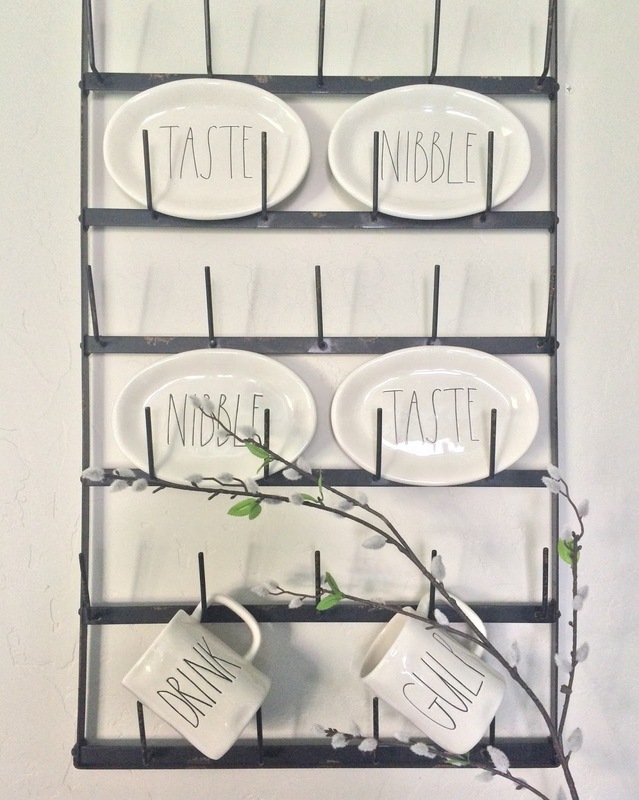 I did have some time today to set up my new “cups for days” rack in the kitchen. 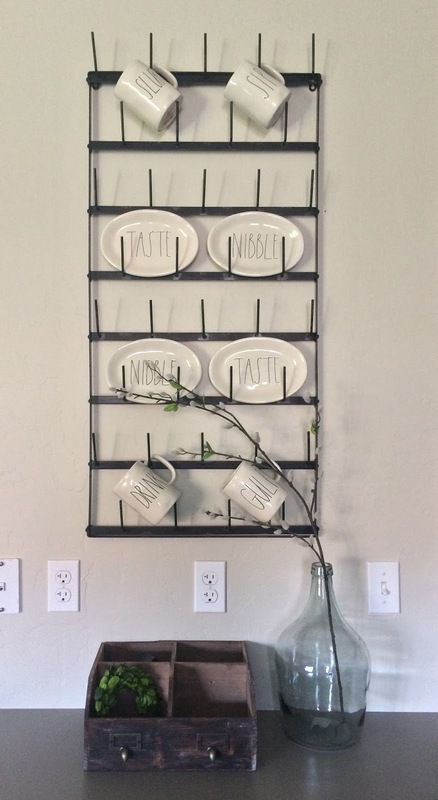 I ordered this rack from Decor Steals and its very similar to the one I’ve seen at Magnolia Market for a fraction of the price! Decor Steals is my newest obsession – every day they post “decor steals” for 24 hrs at a time and shipping is always five bucks! Not only did I get this rack for a lower price, but I didn’t have pay an outrageous shipping price for such a large piece. This wall is the anchor of the breakfast bar and houses our kitchen sink and dishwasher. I couldn’t think of a better place for this rack. If you follow me on Instagram, you might know that a couple weeks ago I painted our great room. 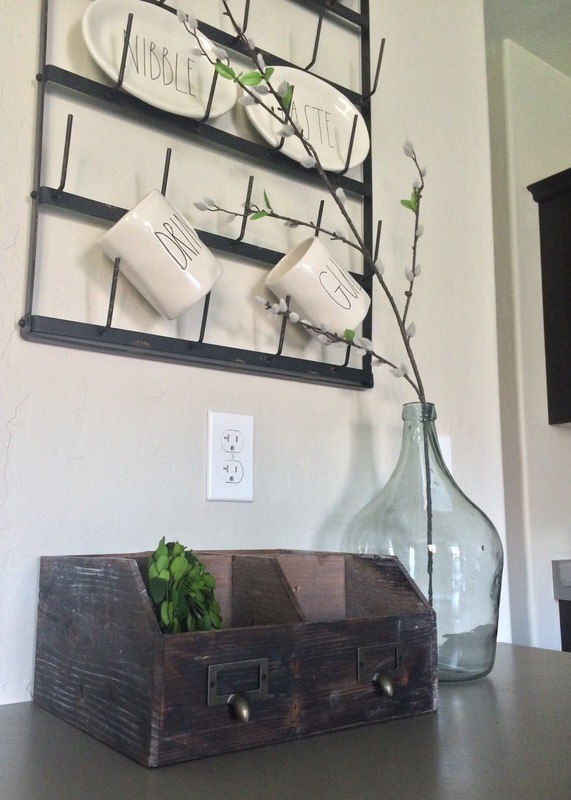 The color is Valspar’s Oatlands Subtle Taupe and it is the perfect griege! The dishes are from Rae Dunn Clay and are available at Home Goods, Marshall’s and TJ Maxx. They kinda became “all the rage” for a few weeks on Instagram and I knew I had to have my own collection. I am lucky enough to have several pieces. 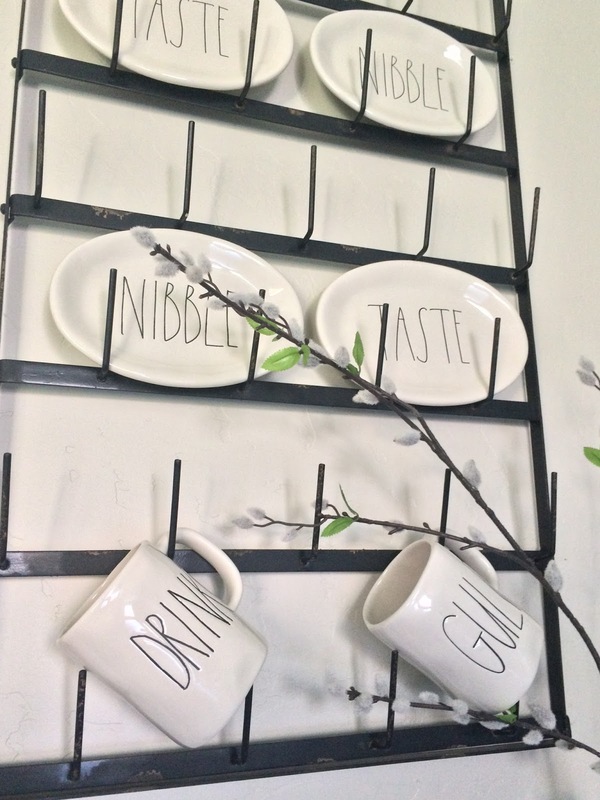 The small plates fit perfectly, so now this cup rack doubles as a plate rack! What do you think? Do you love Decor Steals as much as I do? I’m so glad I could add a little “farmhouse” to my design style!